How Far is Sai Orchids? 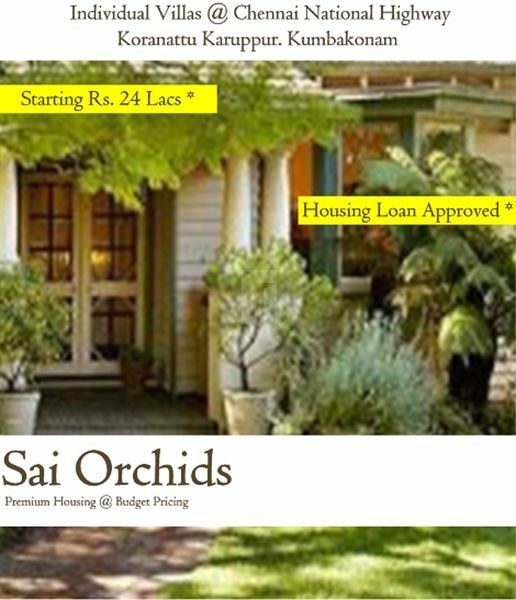 Sai Orchids is a Budget residential project developed by SSRC JV SG Associates at Kooranattu Karuppur 2 , Just besides Kumbakonam - Chennai Bye pass Road, Kumbakonam, Tanjore Dist. Tamil nadu. The project offers well designed 2 & 3 BHK houses and is well connected by various modes of transportation. This location is ideal one for all investment purposes since its well placed in Kumbakonam - Chennai Byepass Road that's a fast developing locality.